Let’s visit The Berkshires and Smithsonian Magazine’s No. 1 ranked small town in America. The historic Mahaiwe Performing Arts Center always has something going on inside. 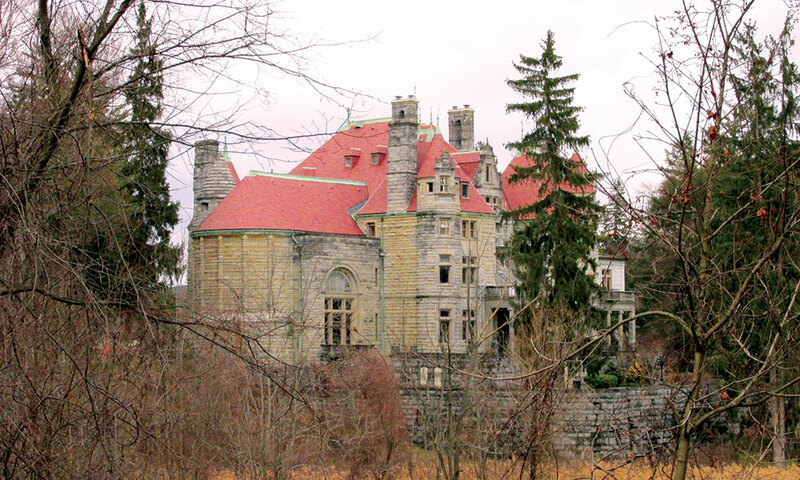 Even in a town as culturally rich as Saratoga Springs, sometimes we just need to get out. So next time you’re fidgety for you-don’t-know-what, grab your sweetie or bestie and jump in the car and drive, baby, drive! But where to go? An hour and a half away from Saratoga lies one of the most scenic places—filled with Instagram-worthy eye-candy—you’ll ever see: The Berkshires, or more specifically, Great Barrington, MA. How often do we hear about The Berkshires without really knowing much about them? Great Barrington is actually just a few short minutes from the New York State border. I find it most appealing, because it not only has a rich history, dating back to pre-Colonial times, but has also survived multiple, epic fires and the resulting destruction—and is an example of how a city of well-built, behemoth structures really stands the test of time. Great Barrington’s principal artery, Main Street, has itself had several rebirths. And it’s nothing short of gorgeous. If the very name “Great Barrington” sounds regal, that’s because it is. Serving as the main seat of Berkshire County since 1761, the city was named after an English aristocrat, Lord Barrington, who was a driving force behind the area’s local government and commerce during the town’s earliest days. I highly recommend a quick side trip to the Great Barrington Historical Society & Museum to view its impressive collection of well-preserved images and learn about the area’s rich history. But this road trip is all about being whimsical and spontaneous. I urge you to be open to meandering, or getting lost. Even if you have no set agenda, being in Great Barrington is like being in a slowly moving slideshow. You can’t go wrong. First thing on the menu? Make a dinner reservation (early) for Lebanese fare at Naji’s Mediterranean Cuisine. The tabouli! The kabobs! 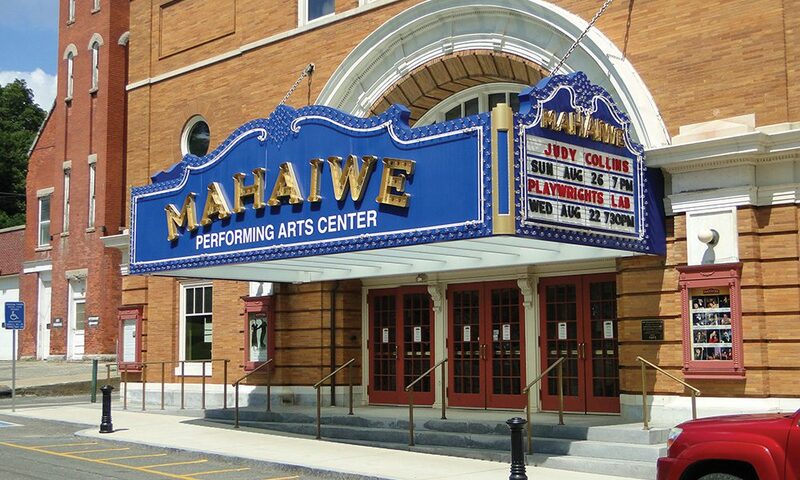 Next, check out the historic Mahaiwe Performing Arts Center, known for its Gilded Age architecture and top-notch acoustics. The Center always has something going on in the form of live music, dance, theater, opera and even movies. 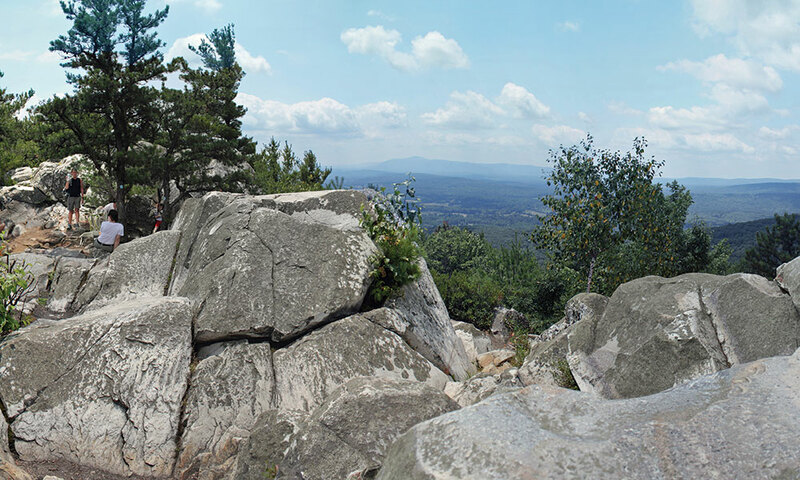 Now that you’ve got a couple of things locked in, you may want to start your day as some of the 19th-century literary superstars did, peering down on the Housatonic Valley while hiking up Monument Mountain. It’s a well-run attraction that will stretch you out gently and welcome your (leashed) dogs. This trek will definitely justify a nosh. As an OG Northern Californian, I’m a snob about quality sourdough bread (it’s one of the only things I truly miss about my childhood home). So my advice? Skip the car snacks and brave the queue at Baba Louie’s Pizza on Main Street, famous for its wood-fired, organic sourdough take on the Italian classic. It’s OMG delish! After refueling, be enchanted by the sanctuary of The Guthrie (as in Arlo) Center at The Old Trinity Church, which offers free yoga, interfaith services and spiritual exchange as well as a variety of musical options (true to its name). Du Bois Center, which features guided tours on W.E.B. Du Bois, one of the most prolific equal rights movement authors of the early 20th century. Or tour the Norman Rockwell Museum, where you’re sure to recognize the works the artist is most famous for. An absolute must-see for terrific bar food and cocktails is The Well. Their menu faves, such as fried pickles (!) will have you sighing with delight (not to mention their highbrow whiskey selection—yes, please). It’s hard to believe such a quick jaunt to Great Barrington can make you feel so completely transported to another place and time. Now, that’s pretty great.